This project evaluates long-term energy scenarios in California through 2050 using the California PATHWAYS model. These scenarios investigate options and costs to achieve a 40 percent reduction in greenhouse gas emissions by 2030 and an 80 percent reduction in greenhouse gas emissions by 2050, relative to 1990 levels. Ten mitigation scenarios are evaluated, with each designed to achieve the state’s greenhouse gas reduction goals subject to a changing California climate. All mitigation scenarios are characterized by high levels of energy efficiency and conservation, renewable electricity generation, and transportation electrification. The mitigation scenarios differ in their assumptions about biofuels and building electrification, among other variations. The High Electrification scenario is found to be one of the lower-cost and lower-risk mitigation scenarios, subject to uncertainties in building retrofit costs as well as implementation challenges. 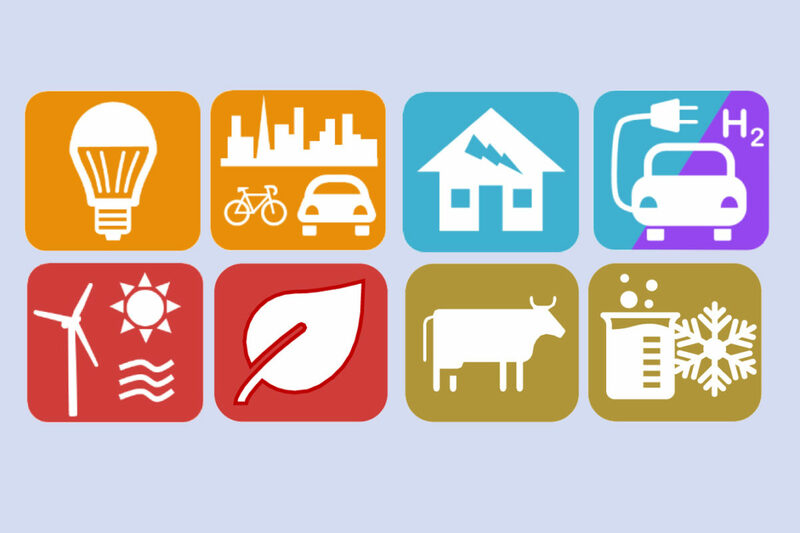 This research highlights the pivotal role of the consumer in meeting the state’s climate goals. To achieve high levels of adoption of electric vehicles, energy efficiency and electrification in buildings, near-term action is necessary to avoid costly replacement of long-lived equipment in 10-15 years. Furthermore, market transformation is essential to reduce the capital cost of electric vehicles and heat pumps.